As we work towards moving, we still find ourselves at a lost sometimes, so much to do and organise. But, this stressful situation can be easily remedied and solved by finding the most reliable and efficient “removalists” provider to do the job. 1. The removalist firm should provide you a free consultation prior to your moving commitments. They should give you an overview of the whole moving process as well as other available services related to your moving concerns and needs. All areas with regards to packing, storage options, transportation, transit insurance coverage, tracking methods and other additional requirements for delicate objects, pets and cars should be included in the details of your moving plan and be properly explained for clarification. 2. Most reputable Furniture removalists also give clients more personal services to assist them in acquiring information about the place of their destination. Areas like finding the best letting agency for their housing needs and accommodations, schools for their children and even banks for their financial concerns are often provided to hasten their clients moving schedules. 3. 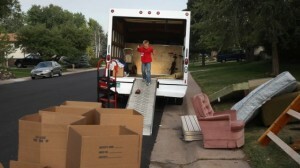 Removalists should also provide clients a well-organized packing team on the actual day of moving out. The team leader should properly coordinate with the owner about all the things that should be packed and those that should be left behind like important papers/documents, personal belongings, toiletries and other necessities. 4. Make sure that the removalist of your choice uses the “color locator method” to guarantee an efficient packing and transportation of all your belongings. They should give clients color coded stickers to be put on boxes to be removed and matching color coded cards to be hung on the doors of their final destination for easy verification on where to put those color coded boxes. 5. To monitor that all your precious belongings are carefully packed and put into the removal van, a checklist form should be handed to the client for verification and inventory control of all the things that need to be packed and delivered to the new location. 6. Legitimate removalists must give their clients alternative choices for transit protection coverage. They should explain the ideal insurance package and help clients avail the most trusted insurance company. Well, hope these above areas explained some pertinent issues bugging your head. If your relocation process is at hand, the best and right move to do now is find the most reliable removalists that can help you get started with your moving plans. Feel free to discuss with your chosen removalist all your moving needs. Ask for assurance that at the end, your removalists should be able to manage successfully your relocation problems and provide you a worrisome move. good day i came to youre blog, and I have read some great iftormanion on it. It’s all about the game let’s PLAY!!! We will help you move to a new place. Thank you for having this information. It’s very informative & now I can proceed with getting my interstate move done without the STRESS. Thank you.